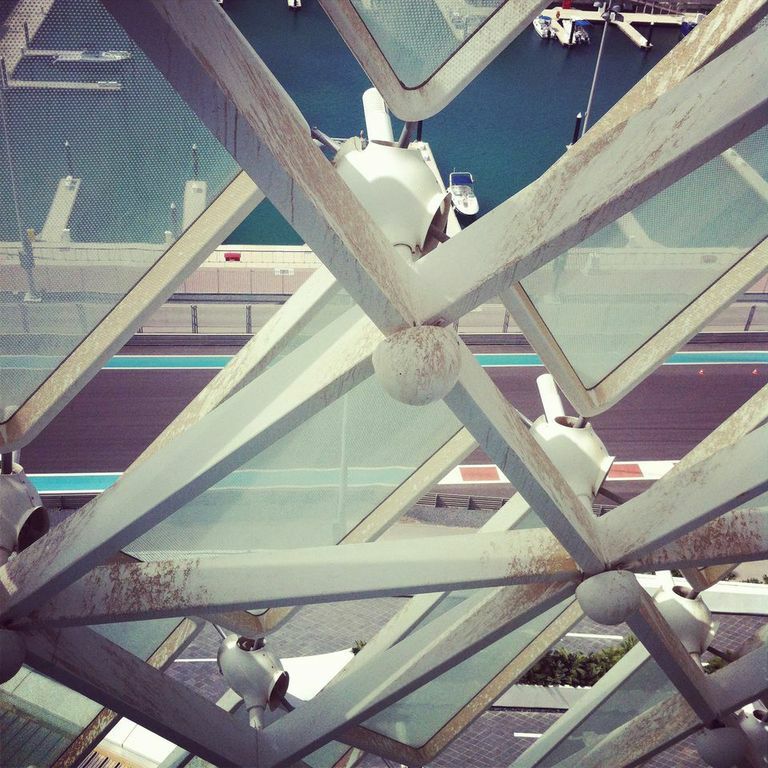 For this week’s Weekly Photo Challenge: An Unusual Point of View, I have chosen a photo that I took through the glass panels of the grid shell of the Yas Viceroy Hotel, which overlooks the F1 track here in Abu Dhabi. 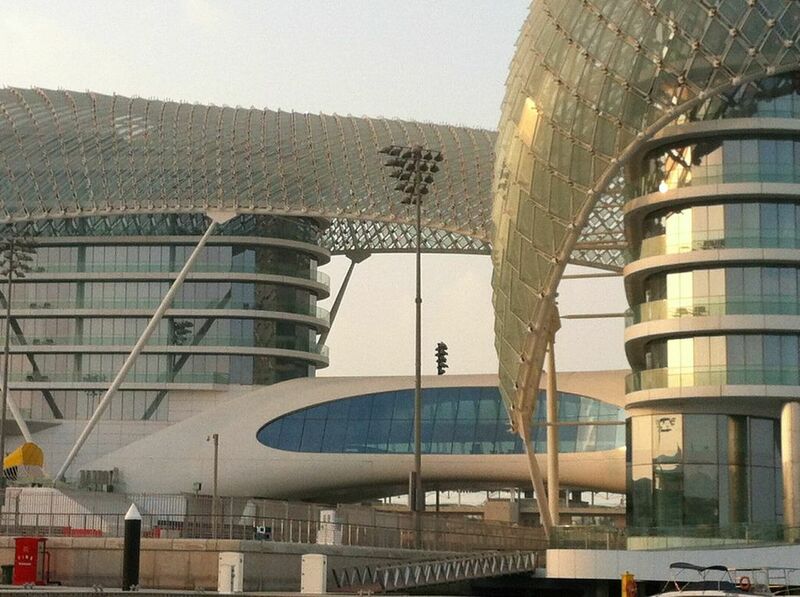 Look carefully and you can just spot our boat moored in the marina below. 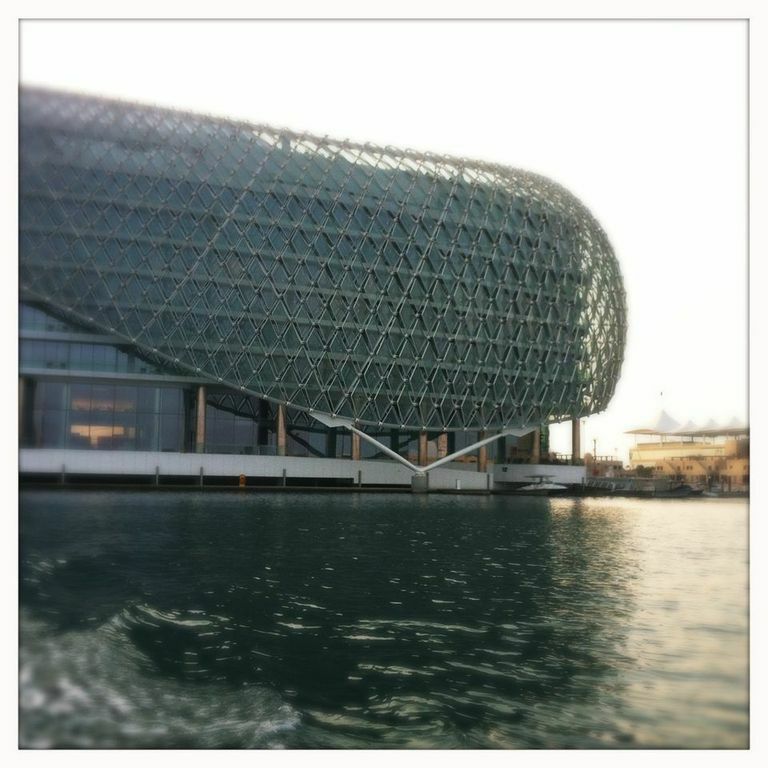 Two more photos of the hotel taken from the boat showing the building’s amazing architecture and the stunning glass grid shell. 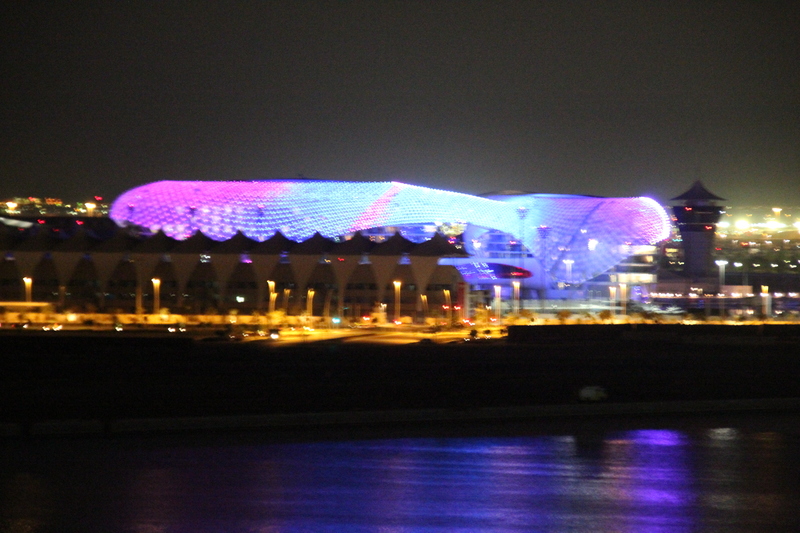 This shell has 5,389 pivoting diamond-shaped, colour changing individual LED panes that create an amazing visual display during the day and even more so when lit up at night.